It’s never been easier to learn anything–anytime and anywhere. For the first time in human history, we have the tools available to provide access to powerful learning experiences to every person on the planet. It’s not unusual to hear the phrase “anytime, anywhere learning” applied to everything from early childhood education, K-12 and higher education to informal learning, adult education, career training and professional development, etc. But the definition of “anytime, anywhere” learning is often reduced to mean “anywhere you can get a wifi signal.” While technology continues to act as a powerful enabler of access, this limited tech-centric view of “anytime, anywhere” learning fails to fully acknowledge its potential. The challenges of the modern world will not be addressed by technology alone. We need learners who graduate with deeper learning outcomes that include and extend beyond content knowledge. We must transform the system to focus on integrating schools and communities that leverage the “power of place” in order to equip–through authentic experiences–students with the tools and skills they need to collaborate, think critically and solve complex challenges. This is an absolute requirement as we build a modern workforce equipped to thrive in the “gig economy.” We need young people who are invested in their communities and cities to boost both education and employment. NEW! The final installment of our three-part publication series (featuring one independent infographic) has been published. The first guide and infographic—What is Placed Based Education and Why Does it Matter?—offer an overview of Place-Based Education including definitions, benefits and examples. They feature diverse examples of Place-Based Education in practice submitted by educators all over the world. The second guide—the Quick Start Guide to Implementing Place-Based Education—translates educator insights into an actionable guide for the implementation of Place-Based Education in classrooms and in communities. Actionable examples and tips are shared throughout to inform and inspire place-based opportunities across the curriculum. The third guide—Quick Start Guide to Place-Based Professional Learning—makes the case for place-based professional learning that can benefit teachers the same way that it benefits students. As educators begin to think about how the community can be a classroom for students, it is important to develop their own sense of place, student ownership and long-term strategy to ensure effective implementation. The process can be transformative not only for the students, but also for those educators who are participating in the journey. For more, check out these popular blogs on Place-Based Education or click here to see them all. In the second podcast in our Place-Based Education campaign, we share the perspectives of the teachers, leaders and learners at Teton Science Schools, with advice on how to implement PBE in the classroom, school, campus and community. To truly understand the “power of place”, Carri Schneider shared the voices of students, teachers and leaders she recorded during her trip to Teton Science School in this podcast. Ready to experience place-based learning? Close your eyes and listen to this “audio field trip” to TSS. We also did a live interview with Larry Jacobs on EduTalkRadio and introduced him to what place-based education is and how it is important to education today. 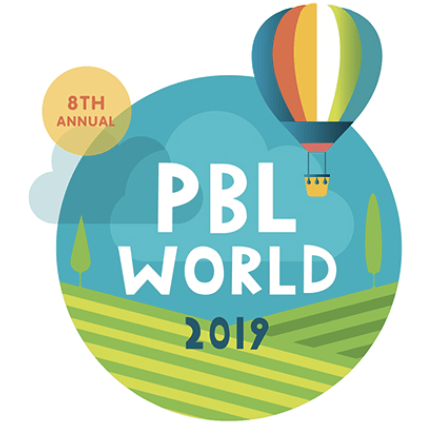 PBE is currently missing from the global discussion of powerful personalized learning models that can boost access and outcomes such as blended learning, student-centered learning, competency-based learning, deeper learning, project-based learning and others. We are held back by an overemphasis on technology as the sole enabler of powerful, personalized learning. We believe that adding PBE to the global education discourse will offer a new entry point into high-impact, personalized learning for all students, teachers and communities–and that’s why we invite YOU to get involved. Have a Place-Based Education story to tell or example to share? PBE in Action. Tell us about your lesson, unit, course, school or network that utilizes place-based learning. Don’t forget the pictures and videos. We welcome blogs on PBE in early ed, K-12, higher ed and informal settings. We’d love to hear about partnerships with community organizations, museums, libraries, parks and more. Are we forgetting something? Tell us all about it! PBE & Personalized Learning. How does PBE help personalize learning for students? How does this personalized PBE contribute to deeper learning outcomes? What kinds of things are kids learning through PBE that wouldn’t otherwise be possible? PBE, Equity & Access. How have you leveraged local resources and community partnerships to expand access to high-quality deeper learning opportunities for traditionally marginalized student populations through PBE? How can PBE contribute to a more equitable education system? Why should people care about PBE? Making PBE Work. We want the nuts and blots of making PBE work. Do you have insights to share on key pieces like finding great sites, fundraising, mapping to desired student outcomes? We’re all ears! PBE and Professional Learning. Teachers! Leaders! PBE is not just for students. We are SO excited about professional place-based learning. What place-based professional learning have you experienced? What kind of professional development is necessary for implementing PBE in your school? Please follow our guest posting policies and send any finalized blogs to coordinator@gettingsmart.com with the subject line “place-based education” for consideration for publication on GettingSmart.com and promotion across our channels. Not quite sure a full guest blog is for you? That’s okay! Share your ideas on these questions and anything else PBE related in an email to coordinator@gettingsmart.com. To join the conversation, share this page across social media channels using the hashtag #PlaceBasedEd and follow @Getting_Smart. We’d love to see your photos and videos of Place-Based Ed in action. Tell your PBE friends about the campaign, so they can join the fun! Share your enthusiasm for and commitment to Place-Based Education. Check out & share this great Storify recapping the more than 400 #PlaceBasedEd tweets in July and August! Interesting in getting involved as a partner on this campaign or have a school you’d welcome us to visit? Reach out to Info@GettingSmart.com for more information.